This is the Les Mills barbell workout designed for anyone looking to get lean, toned and fit, fast. 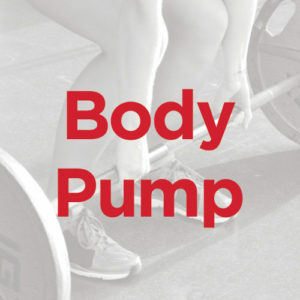 Using light to moderate weights with lots of repetition, BODYPUMP gives you a total body workout. Instructors will coach you through the moves and techniques while pumping out encouragement, motivation and great music! You’ll leave the class feeling challenged and motivated, ready to come back for more.